Today is the last of my August classes at Kathy Davis Studios. We'll be making a Close To My Heart Mini Album. It's an ambitious project for sure -- perhaps I'll show you pictures tomorrow of the album and the class in action. 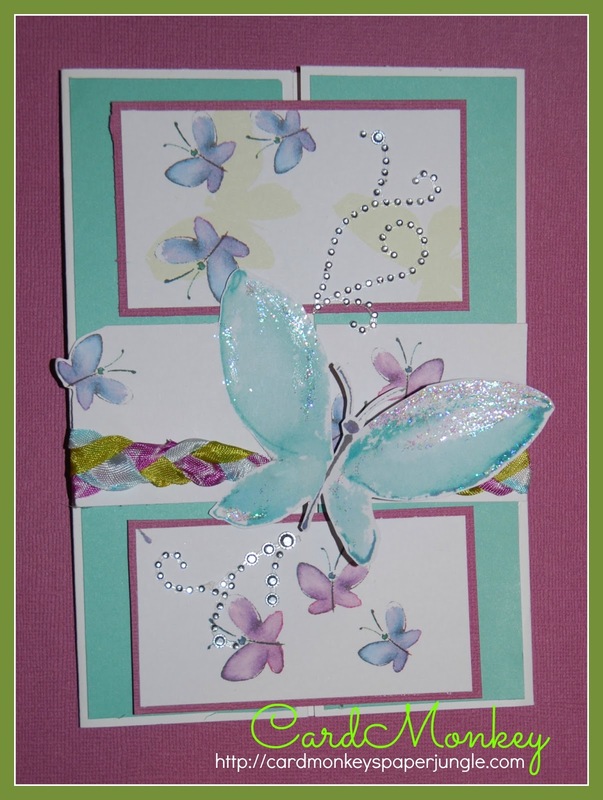 The card I made (at left) uses Kathy Davis Studios papers, manufactured and distributed by GCD Studios. They're available exclusively at Joann Stores, with the greatest selection online at www.Joann.com. KDS has invited me back for as many classes as I can handle this Autumn, plus they're adding more instructors to their schedule. I'm so looking forward to taking classes, too! Watch this space for my announcement on Labor Day of the upcoming schedule. Enrollment will be limited, so be sure to register as soon as you see the course list. This is such a pretty card!! I love that butterfly and the rumple ribbon looks awesome braided!! Congratulations on doing more classes. I Hope to join you when I move East. This card is so beautiful. 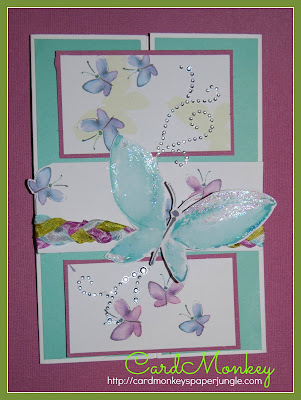 I love the butterfly and papers. Great job!